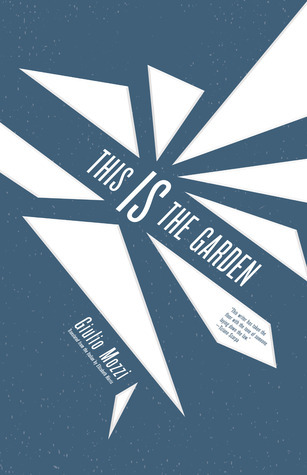 This month we’re giving away copies of Giulio Mozzi’s This Is the Garden, translated from the Italian by Elizabeth Harris and pubbing in January. Gorgeously rooted in the best modernist tradition of writers like Italo Calvino and Antonio Tabucchi, Giulio Mozzi is among the most fiercely literary authors emerging from Italian literature today. These stories, which in so many different ways are about writing itself, are like rivers cutting through the northern Italian countryside—lush, limpid, exotic. Elizabeth Harris’s translation beautifully renders the noble grit of Mozzi’s distinctive voice. I read Giulio Mozzi’s first book with real enthusiasm. What struck me most was his everyday language. Even when his subjects rely on metaphor, his words are plain, and so turn mysterious. Follow the link below to enter yourself in the GR drawing.